Practicing Mortality is a two-person exhibition of sculptures and works on paper by Judith Brotman and Fraser Taylor. The two artists, who each maintain independent studio practices, are brought together for this exhibition to showcase a shared strategy of art making. This strategy is defined as practicing mortality, the tending of an externalized, abstracted self. The artists make material the deferral or displacement of death by continually revising, modifying, articulating and practicing the ‘self’ as an object. 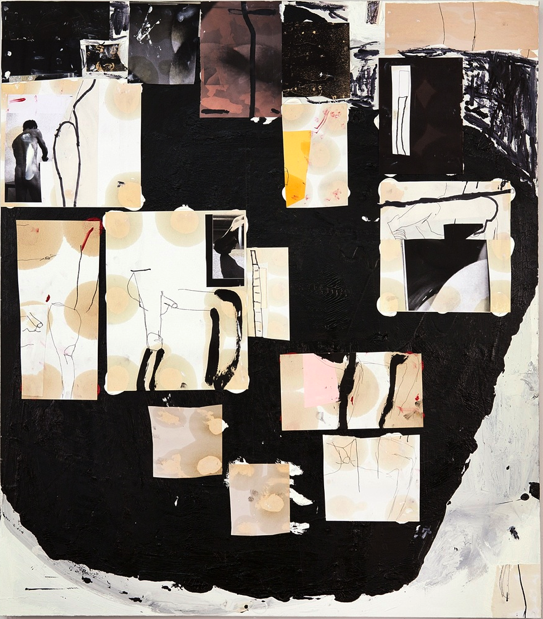 Brotman and Taylor express this motive through their large-scale, process-driven sculptures and experimental drawings on paper. Judith Brotman’s current installation, Loose Connections: A Love Story, is composed of cut and shaped white paper, stitched with black and white thread, to create a room-sized, immersive sculptural form that is delicate and site-dependent. The large sculpture evokes a map of human motivations, flaunting its flaws and aspirations, revealing at turns coy and intricate desires, its innards and protective shell, all with lyrical absurdity. Eva Hesse is an important referent for the artist. 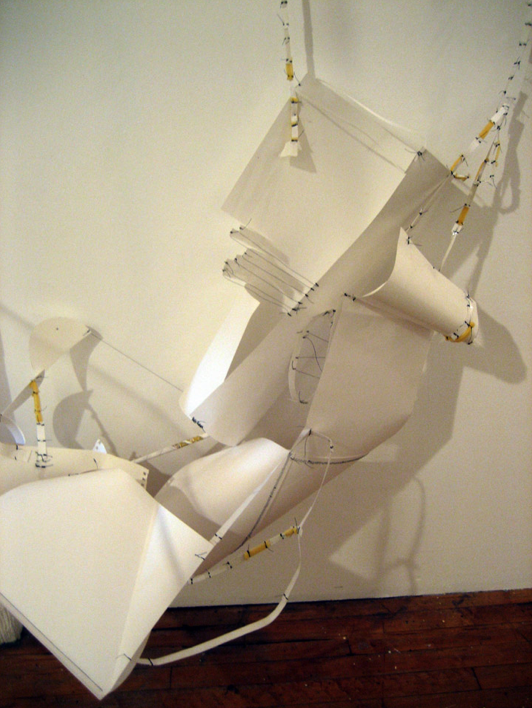 Brotman’s drawings extend the strategy performed by the sculpture. Here, the same stitched thread acts as a sculptural line, and punctuates bruises of color on the flat panes of white paper. The drawings depict a dance on the razor’s edge of bodily decomposition and self-healing. Fraser Taylor’s current body of work, Black Flowers, integrates monochromatic sculptural objects with drawings and prints. The towering and wall-bound sculptures are composed of black painted wood fragments bound by wire. They are discrete objects, roughly body-sized, that combine to form a crowd. These hollow and precarious structures sometimes fall. Taylor welcomes the collaboration with gravity, and will buttress or break his sculptures as necessary. They can be destructed and re-created, like puppets built for tragedy, and are sometimes displayed dangling from a hook on the wall. Visible through the thicket of sculptures are Taylor’s drawings and prints that mirror the limb-like quality of the sculptural forms. Taylor’s sculptures and works on paper are formally akin to the art of David Smith, although Taylor revises such rigid constructions by opening them to chance.